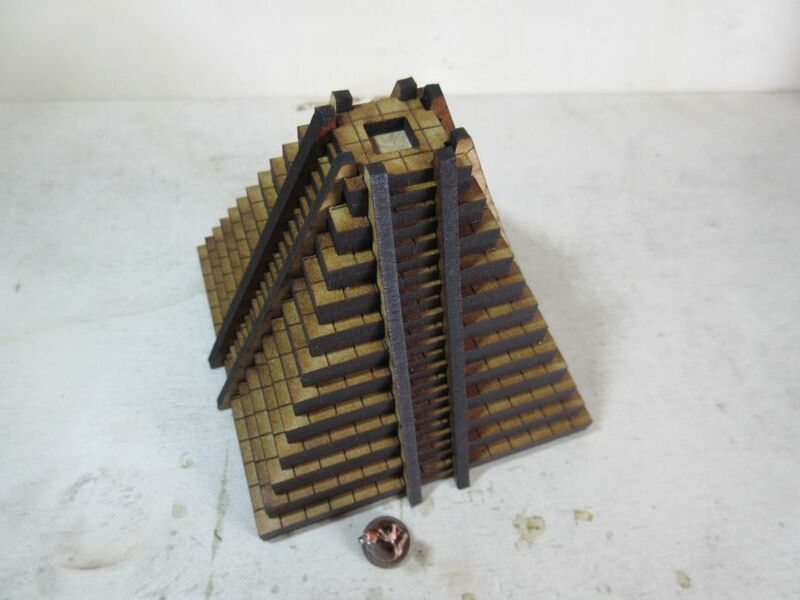 A Step Pyramid designed for 15mm scale. 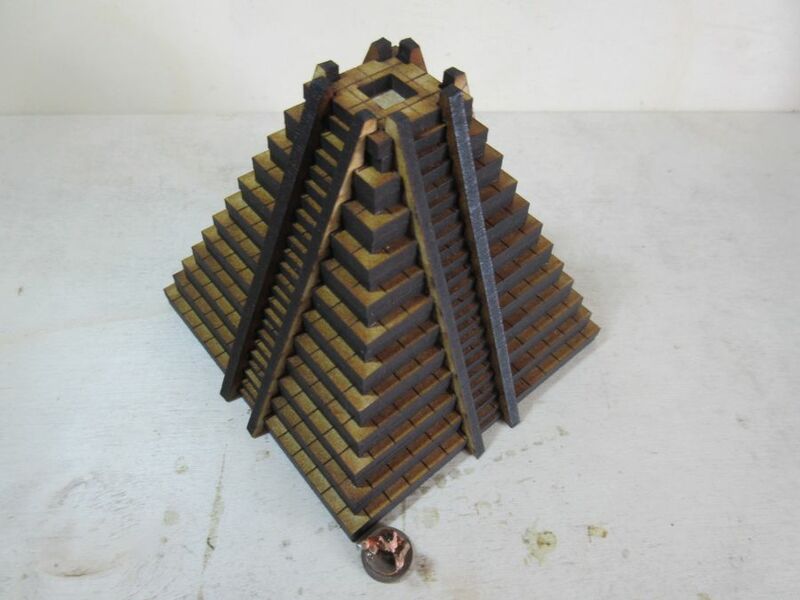 The pyramid is approximately 90-100mm square and 81mm high. Laser cut from 3mm MDF this is supplied unpainted and requires to be glued together. 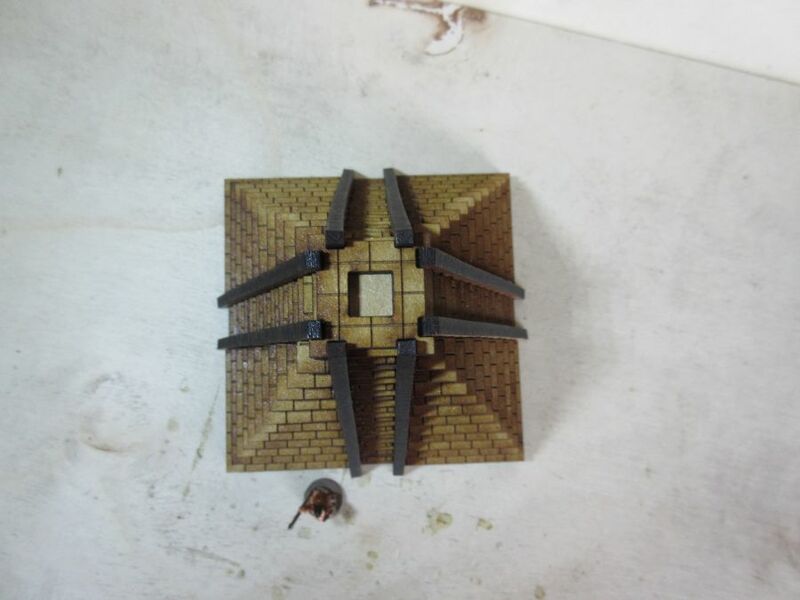 The Goblian figure in the pictures is not included and is shown for scale comparison only.